In the spirit of everything that is noble and grand about a Sunday afternoon spent at a table laden with great food, wine, and old and new friends, join us for the inaugural Charley Noble Sunday Long Lunch. The delicious flavours of freshly prepared dishes you’ve come to expect from us, served to share at a fun and festive grand dining table. And of course accompanied by the tastiest of beers and wines. What fun. And better still it’s all for a great cause. All proceeds from the day will go directly to Wellington Free Ambulance, supporting the amazing work they do in our community. 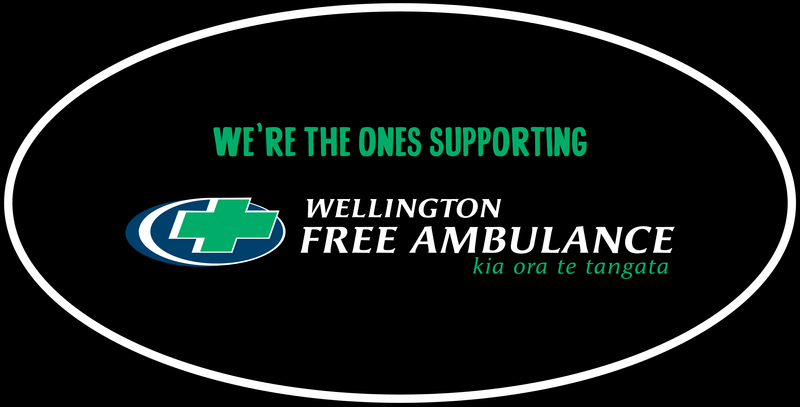 Wellington Free Ambulance is a charitable organisation that provides an amazing and vital service to Wellington and the Wairarapa. Since its inception in 1927 Wellington Free Ambulance has touched the lives of generations of Wellingtonians through its emergency response services, as well as community CPR training, patient transfer service, flight paramedics, and involvement with large scale public events. This is your opportunity to have a lot of fun and help us give a little support to this extremely worthy cause. The price of your ticket includes an extravagant long lunch served family style along with accompanying beverages. The full price of your ticket goes to Wellington Free Ambulance. We will also have some very fun and exclusive items up for auction on the day, the proceeds of course all going to support this great cause. Sunday as it should be. We look forward to seeing you there.